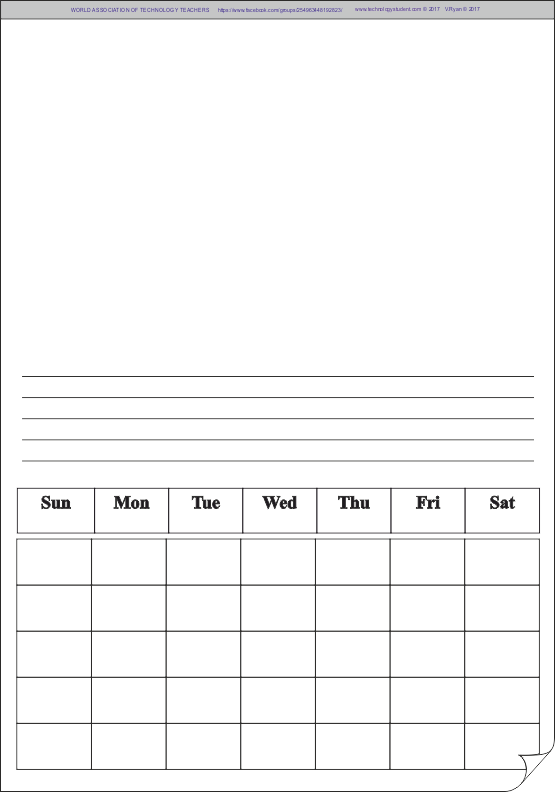 The calendar template below is provided as a starting point for your designs. Look at the example calendars (go back to Safety Index Page to select month) as these will help you design your own calendar sheet. Keep your design as simple as possible. Modify an existing safety symbol. Use colour and shade very carefully. It may be a good idea to limit yourself to 3 colours. Do not 'cram' on too much information - keep you message simple.